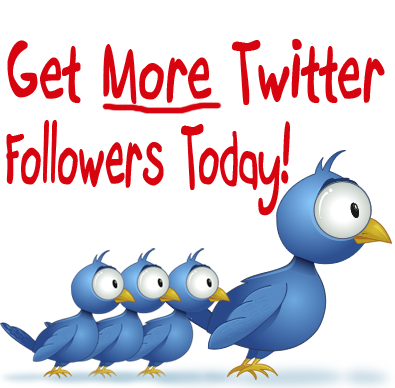 5 Sure-Fire Ways To Increase Your Twitter Followers! Well as we all know twitter is an interesting place to be, where we get to socialize and meet new people. But twitter is actually boring when you have little or no followers. Because of this some people tend to buy twitter followers which is totally unreliable, in this article I’ll be listing some sure-fire ways to get free twitter followers. But before we proceed…. why do you want to increase your twitter followers??? Kindly tell us via the comment box below! Start by targeting well respected and widely known individuals within your Niche through your tweets. Grabbing the attention of these individuals and developing relationships with them can really effect how many people become aware of your profile and if they like what you say and see you talking to people they follow, they will follow you. Okay, well not literally rush hour, but through out peak times. Research shows that top Twitter activity normally takes place between 10:00 and 16:00pm. Tweeting during these hours will mean you greater visibility to your tweets and a better exposure to on your account. However, the most active hour for people engaging in the twitter is between 1pm and 2pm every day, so think of something interesting to say…. Yes you did read that right, following other people can lead to you gaining more followers. As a matter of fact I started seeing some increase on my twitter account when i started following other tweeters! Following other people within your industry lets them know you exist and gives you a lets them know you exist and gives you a platform for them to hear your voice. It increases your exposure and if people like what you say then will follow. Twitter is a social tool so you need to be social. Status updates are good but interaction between your Tweeps will have a greater effect. How can you interact with your followers? well that’s by mentioning them. What does it mean to mention a person on twitter will it’s the same as tagging a person on Facebook, e.g “@Tha_yungggenius how’re you doing?”. Well that’s all it takes to interact with your followers. It makes them feel loved and they might recommend you to their followers also. 5. Explore the #hash tag. Some people search twitter through categories, so if you tweet about ‘Blogging Tips’ use the hashtag #BloggingTips. If others enjoy similar content in which you have posted on they might follow you for more updates or even a conversation. Twit Scoop displays in real-time the words which are buzzing right now on twitter so take advantage and explore the hash key for relevant trending topics – www.twitscoop.com For all those literals out there. Although building the number of followers has become one of the more important factors of having a twitter account, another point to consider is then getting those followers to promote your tweets and spread your voice. Your followers then become influences, by retweeting the information you provide you are seen as an authority voice. So, I just listed some proven ways to increase your twitter followers! did you enjoy the article?? why don’t you show some love by sharing this to your friends on Facebook and Twitter you never know who needs this article . And yeah! I’d love to see your own methods on how you increase your twitter followers! kindly use the comment box to share your views with us! 3 Fundamental Things You Should Not Do As A Blogger!